Only five states host more owl species than does Colorado. Our 14 species show a classical ecological pattern of occupancy: a few owl species live almost everywhere, a few assert selective preference of where they will live, and a few refuse to live anywhere but in their very specific favorite places. In this program we will look at what attributes make a bird an owl, which owls live in Colorado, the lifestyles that connect those owls to geography, how to identify the various species once you find them, and what you need to do to refine your owling skills so that you can find them on purpose — by delibity! — more than by good luck. No registration required. 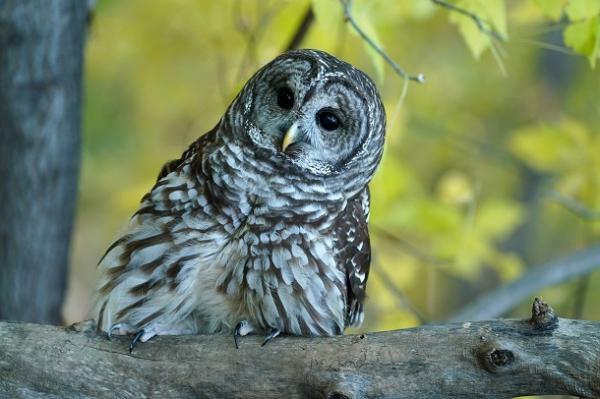 Kevin J. Cook began watching owls in 1959 when he was seven years old. In 1975 he saw his first Flammulated Owl; and in 1976 he submitted a proposal to go into Colorado’s mountain forests, alone, at night, to look for and document Colorado’s little owls. He got that first research grant and then three more, and in that first summer he found more Flammulated Owls than had been collectively documented in Colorado up to that time. He has been studying owls around Colorado for the last 41 years.